The second Doctor encountered Jamie McCrimmon (plated by Frazer Hines) whilst visiting the battle of Culloden, Scotland 1746 – with Ben & Polly in The Highlanders – 1966. The Doctor, Ben & Polly were taken prisoner by a desperate band of Highlanders; including Jamie – who were fleeing from the English invaders. Jamie helped the Doctor, Ben & Polly escape the Redcoat gallows and decided to leave with the trio. Jamie stayed with the Doctor for 3 years – one of the longest serving companions on Who. Jamie, although something of a savage, adapted quickly to his time travel predicament. Whilst not always understanding the more high brow elements, he could usually put his own spin on events, to better his predicaments. Indeed, being a simpler mind greatly benefited the Second Doctor, as Jamie would invariably think of the simplest solutions to their complicated problems. He also couldn’t get his head around the future, specifically flying machines – labelling them “flying beasties”. Upon visiting Gatwick airport, in The Faceless Ones – 1967. His gift was his fierce loyalty, courage and strength due in part to his Scottish rebel upbringing. He was not afraid to undertake dangerous assignments on the Doctor’s behalf. Such as taking on a platoon of deadly Quarks, with only rocks and homemade explosives, in The Dominators. Jamie was profoundly spiritual and in Moonbase – 1967; Jamie believed the Cyberman he witnessed next to his hospital sickbed, was the ‘Ghostly Piper’ come to lead him to death, as per his Celtic beliefs. During the Mind Robber – 1968, Jamie entire face changed in a botched attempt by the Doctor to solve a puzzle and free Jamie from the control of ‘The Master’ (A different villain also known as ‘The Master’). Jamie was – for a couple of parts, played by a different actor. In his long tenure with the Doctor, Jamie travelled with Ben, Polly, Victoria and Zoe. He grew particularly close with the final female companion- Zoey. Zoey Heriot (played by Wendy Padbury) first met the Doctor and Jamie in The Wheel In Space – 1968 whilst the space station was under attack from Cybermen. She was a young Astro-physicist and an academiv and whilst she was incredibly book-smart and logical, in her outlook – she wasn’t very street smart or savvy. The Doctor decided to take Zoey with him to provide the kind of education that books couldn’t provide. Whilst Zoey transitioned to life aboard the Tardis pretty well, her naivety frequently led her in trouble. During The Kroton’s – 1968, Zoe took a test devised by the Robotic Kroton’s, which was a trap to select and seperate the more intelligent humanoids from a group of slaves and harvest their bodies (thus reducing potential threat amongst the human sheep). Not realising the risk of ‘standing out from the crowd’, Zoe got carried away and passed the test successfully, only to realise her predicament later when the Kroton’s came to kill her. Her relationship with Jamie was more brother and sister, than Jamie’s previous relationship with Victoria. Zoe frequently teased Jamie about his lack of understanding of modern concepts. 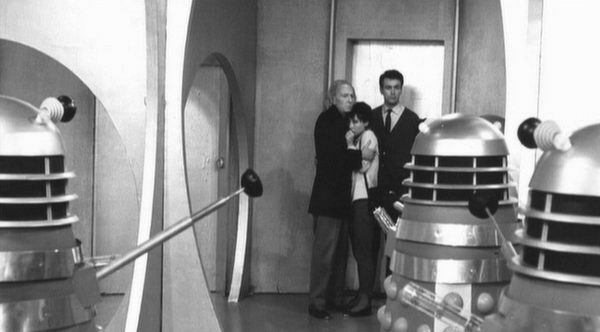 Both Jamie and Zoe stayed with the Doctor until War Games – 1969. The Timelord’s had finally caught up with the Second Doctor and banished him to Earth after a trial. Both Jamie and Zoe were returned to their original time periods, their minds wiped of all of their adventures with the Doctor. They both made further cameo appearances in The Five Doctors as phantoms of the mind in the deadzone.